Your own 24 hours emergency cosmetic & restorative dentist Dr William C Gardner at NM Family and Cosmetic Dentistry PC focuses upon educating his patients regarding these factors in order to achieve prevention of dental diseases especially tooth decay in old age. How Dentist Albuquerque Can Help? This is your own 24 hours emergency cosmetic & restorative dentist Dr William C Gardner at NM Family and Cosmetic Dentistry PC. They provide an understanding of the various causes of increased dental decay occurrence. This is especially in old individuals.The also offer a comprehensive evaluation and management plan because they are important individuals of our society. Our staff has got special training with the help of state of the art and innovative equipment and materials for their treatment.Thus, we are the trusted people. We believe in early disease control through minimal intervention and empower the patients to improve their oral hygiene conditions. Complete assessment of tooth decay is available with help of state of the art computer assisted cariogram software after taking thorough history and examination. Our software will assess patient’s saliva production and flow and presence of harmful caries causing bacteria in the initial consultation visit. Our dental health care professionals will advise comprehensive prevention plan comprising of home based oral hygiene procedures such as regular tooth brushing with the help of high strength fluoride tooth pastes, use of calcium, fluoride and phosphate containing gels before going to bed, mouth washes containing chlorhexidine antiseptic solutions and use of sugar free chewing gums for stimulating the production of salivary fluids. Professional fluoride applications is available if necessary. Deep areas of teeth which have the ability to progress into dental decay will be sealed completely. Fluoride rich filling materials will be used in restoring teeth affected with dental decay. You will be advised regarding regular follow up visits for the assessment of prevention and restoration plan.So, give us a call right away! Do you have cosmetic defects in your teeth? 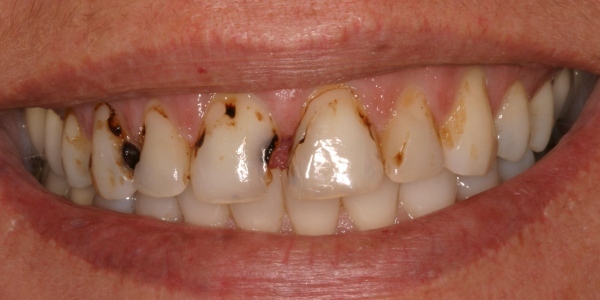 Is your smile less pleasant owing to decayed, missing, crowded, crooked, mal-aligned or mal-posed teeth? You can visit your 24 hours emergency Albuquerque New Mexico dentist Dr William C Gardner. Dr. William is available at NM Family and Cosmetic Dentistry PC. He is available throughout day and night. He focuses upon best solution for improving your dental and oral health conditions.